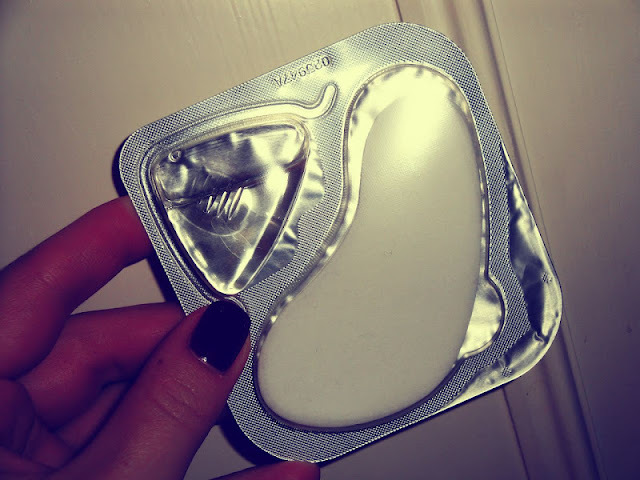 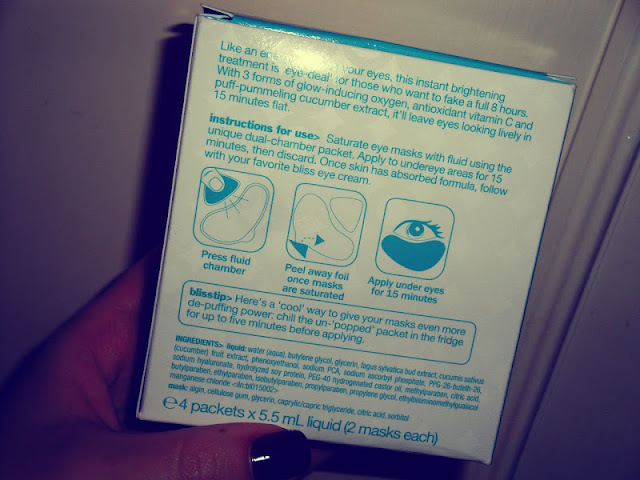 All you need to do is press that triangle corner until it pops and the fluid saturates the masks completely... And then you can just gently apply it on under your eyes and relax for 15 minutes before removing it... 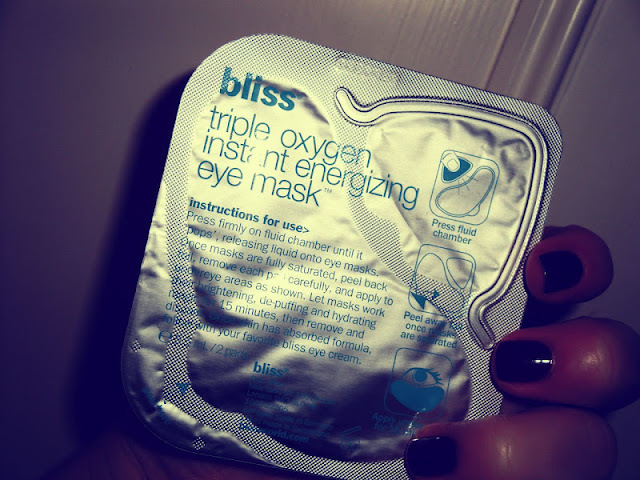 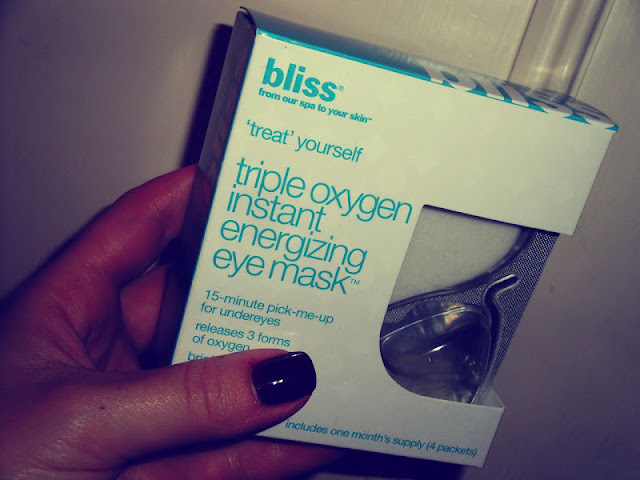 I don't really have puffy eyes but I still enjoyed the very refreshing sensation... It does make you look a little more awake and less tiered... It literally feels like you had a mini spa treatment at home!